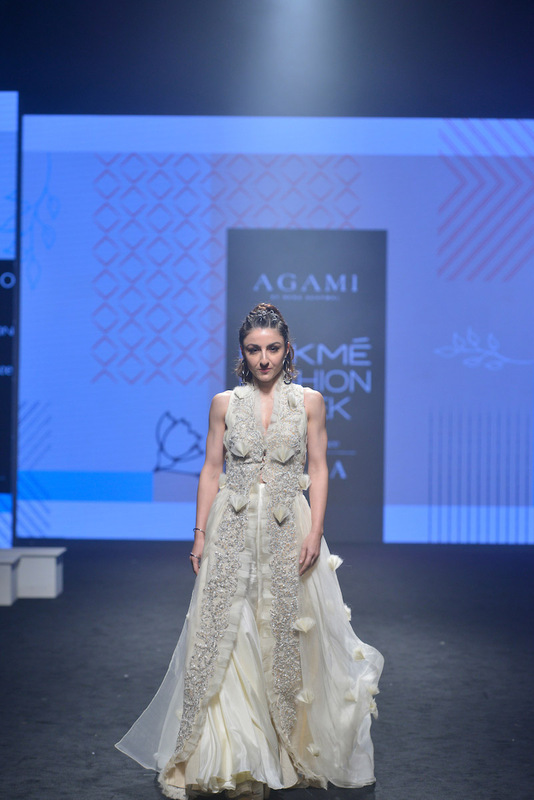 The fifth day of Lakmé Fashion Week was as high on entertainment as fashion. 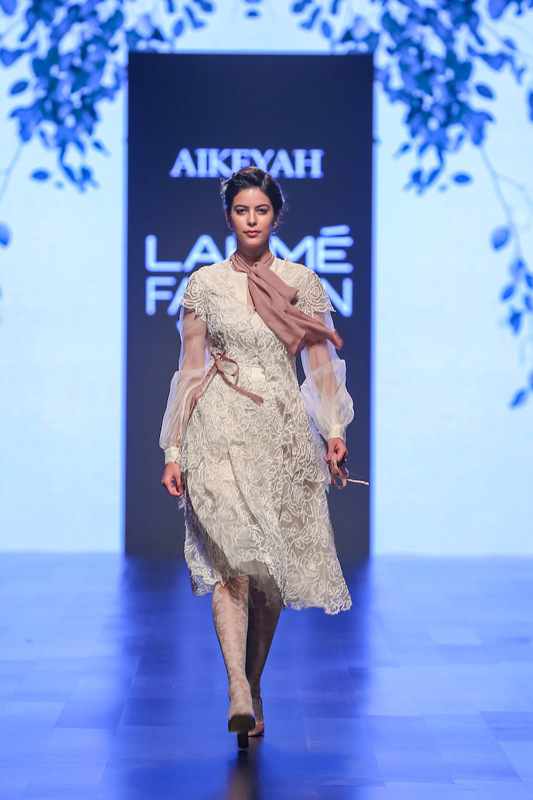 The first shows of the day – Mishru, Aikeyah and Abhishek Sharma – focused on delicate surface ornamentation inspired by age-old craft techniques such as gota lampi, fine leaf embroidery and fine appliqués respectively. 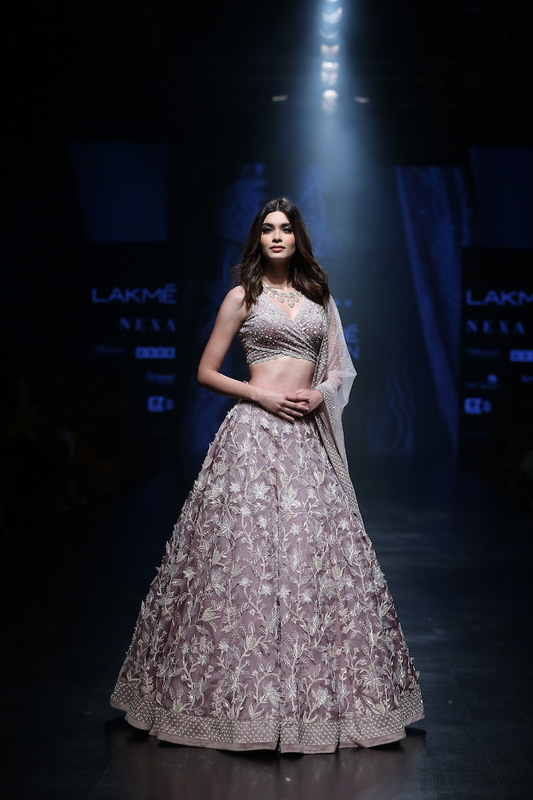 Diana Penty walked as the showstopper for Mishru in mauve, fully-encrusted lehenga paired with a sheer dupatta. 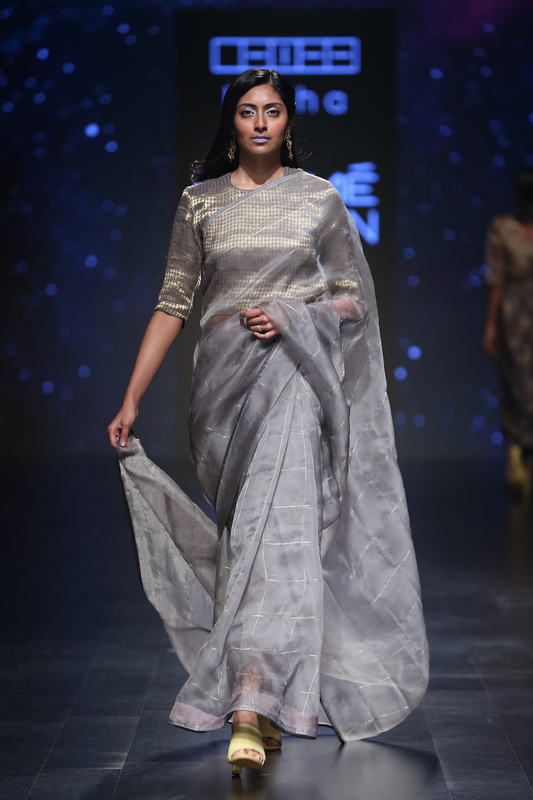 Designer Latha Puttana was a welcome change as the designer put an emphasis on outfits inspired from South India and made it relevant for today’s generation. 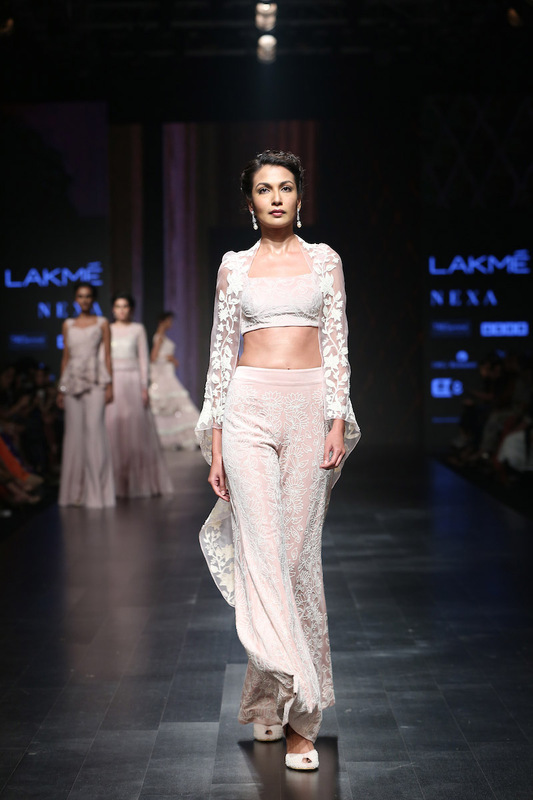 The silhouettes were light and airy with a hint of metallic running throughout the collection, which brought an understated glam vibe to the line-up. 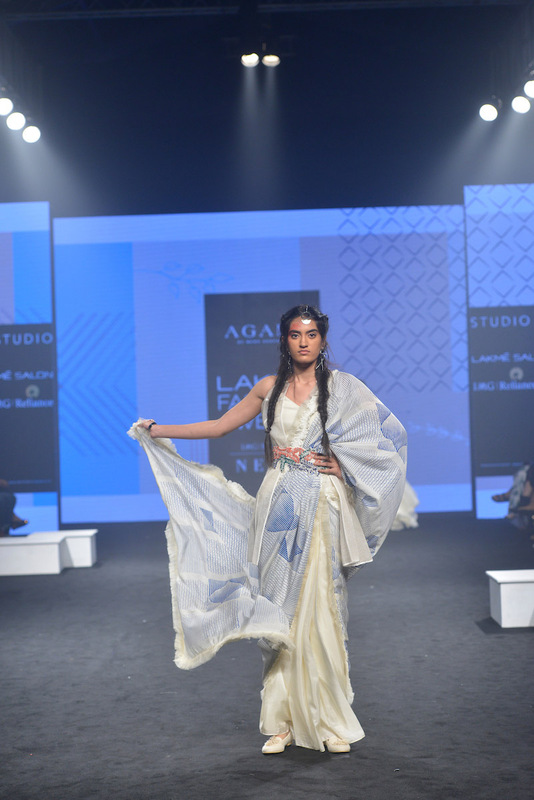 For designer Sailesh Singhania, dancer Colleena Shakti opened the show with an enthralling performance. 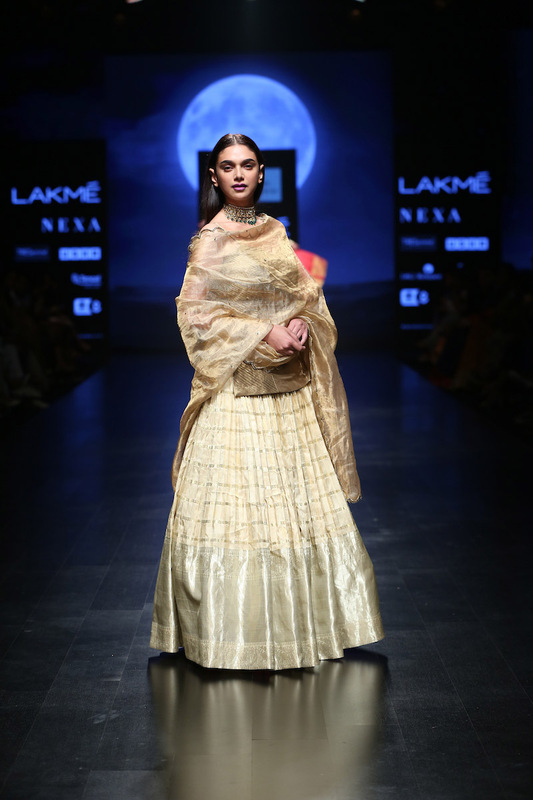 The collection comprised Indian wear ensembles with an emphasis on fabrics such as khadi jamdani, benarasi and kanjeevaram. 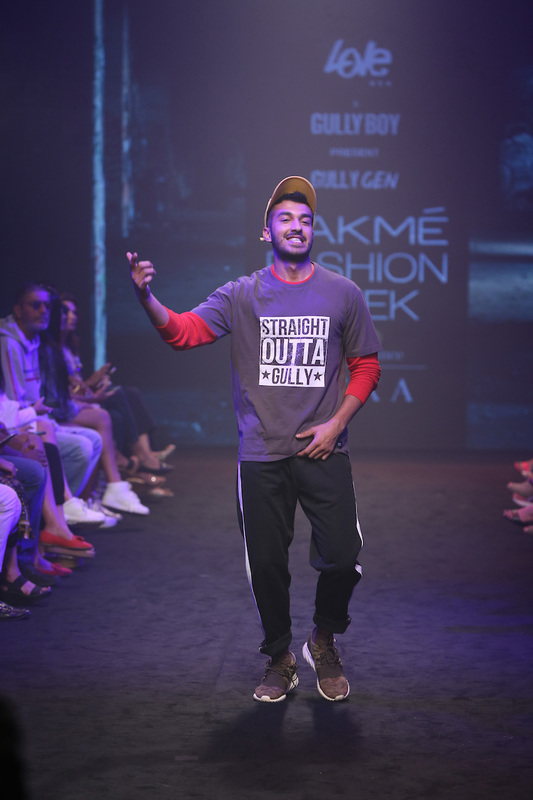 From there on it was a Bollywood takeover, with a mash-up of celebrity showstoppers closing each show (or in one case rapping throughout the show). 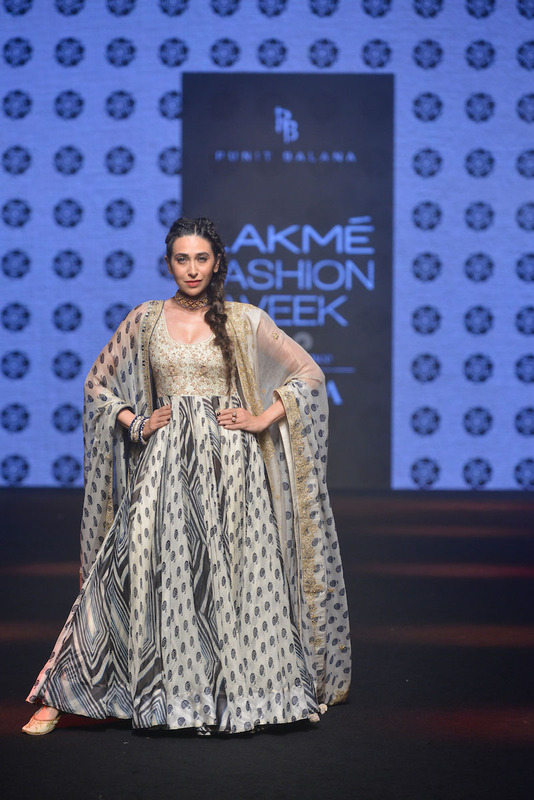 Karisma Kapoor for Punit Balana, Soha Ali Khan for Agami by Neha Agarwal, Lisa Haydon for Shriya Som, Isabelle Kaif, Bhumi Pendekar and Karan Johar for Shehlaa Khan and Aditya Roy Kapur for Kunal Rawal. 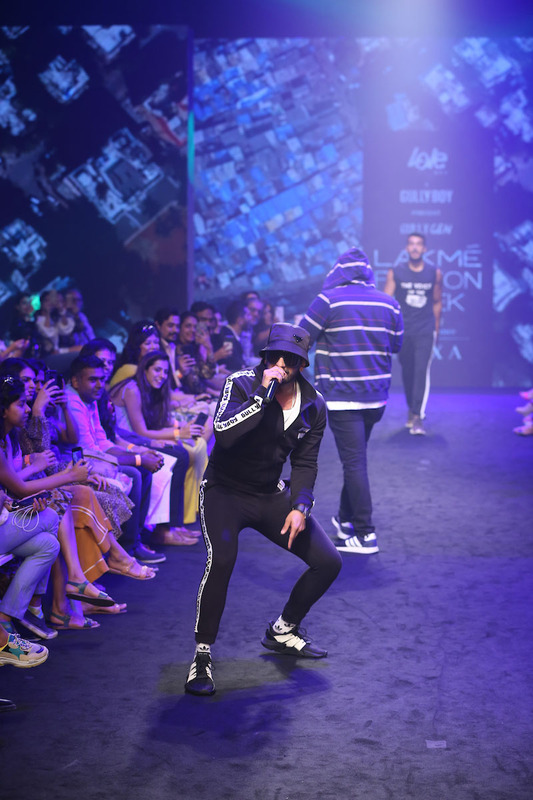 The high point of this entertainment – Ranveer Sigh rapping throughout the LoveGen show (titled Gully Gen) with rappers Naezy, Nakul, Rahil, Kaam Bhari, Shah Rule, Slow Cheetah and MC Altaf. 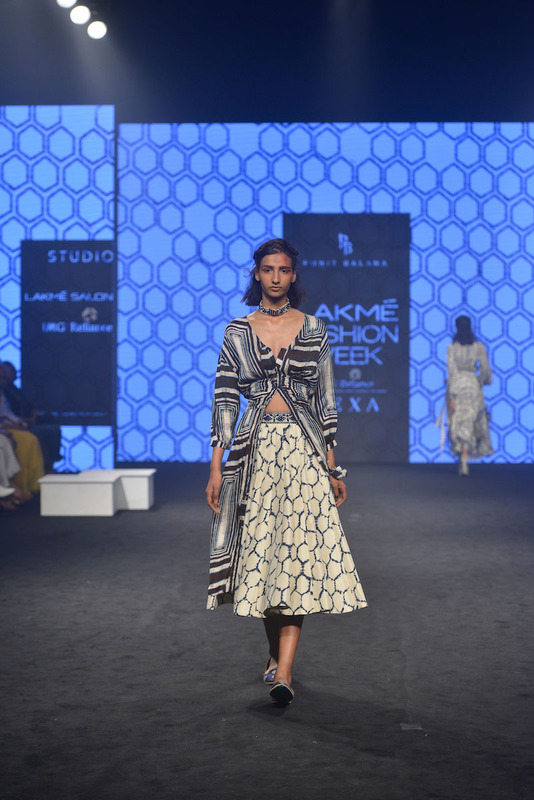 For the last show of the week, designers Shantanu and Nikhil Mehra showcased a larger-than-life live production of their spring/summer 2019 collection titled Recruit. 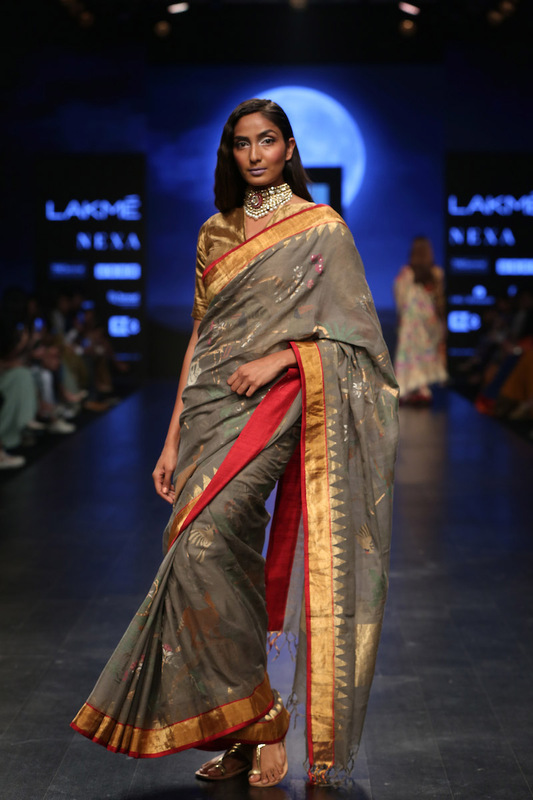 The iconic college building in the background lit up in red (inspired by Lakmé’s beauty theme of Matte Reinvent) and acted as the perfect backdrop to the stunning display of ensembles in shades of black and red. 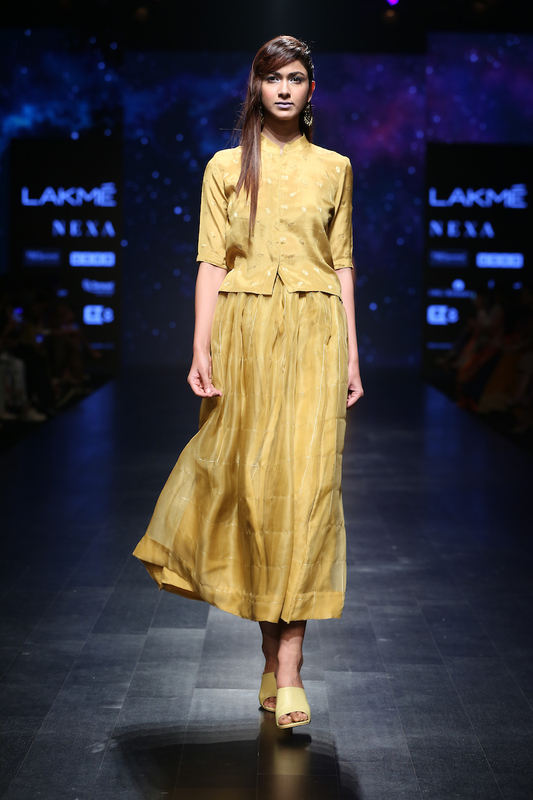 The models looked sharp in the strong and directional silhouettes cinched at the waist and accentuated with military-inspired pins, brooches and gold buttons. 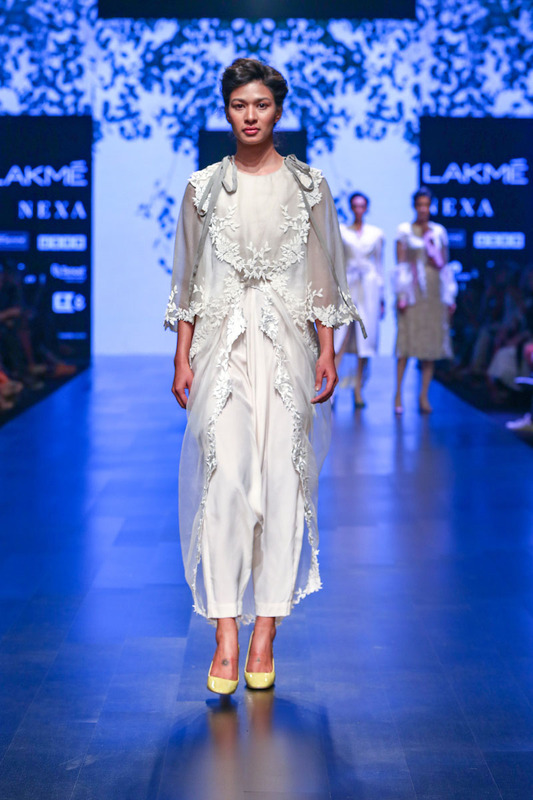 It was refreshing to see the designer-duo step away from their signature voluminous drapes and present a collection with streamlined layers and shapes. 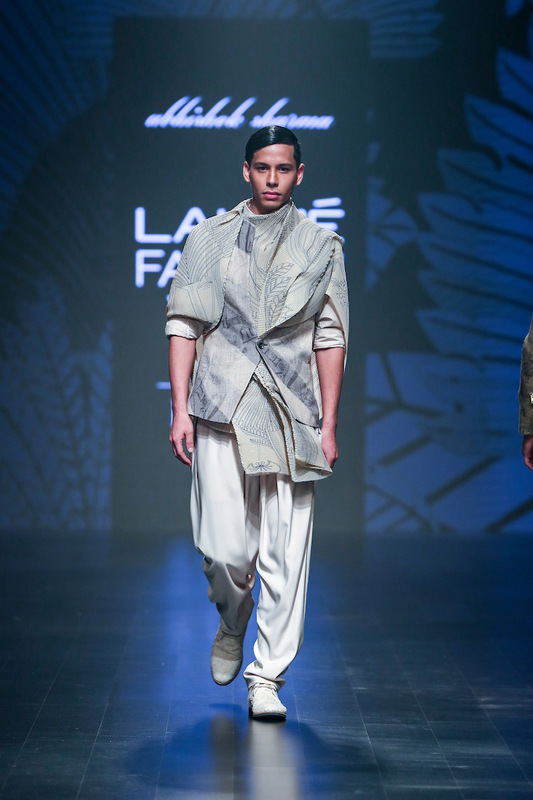 The intense and powerful presentation might have reminded some of Riccardo Tisci’s time in Givenchy, where the emphasis was laid on creating clothes for the femme fatale. 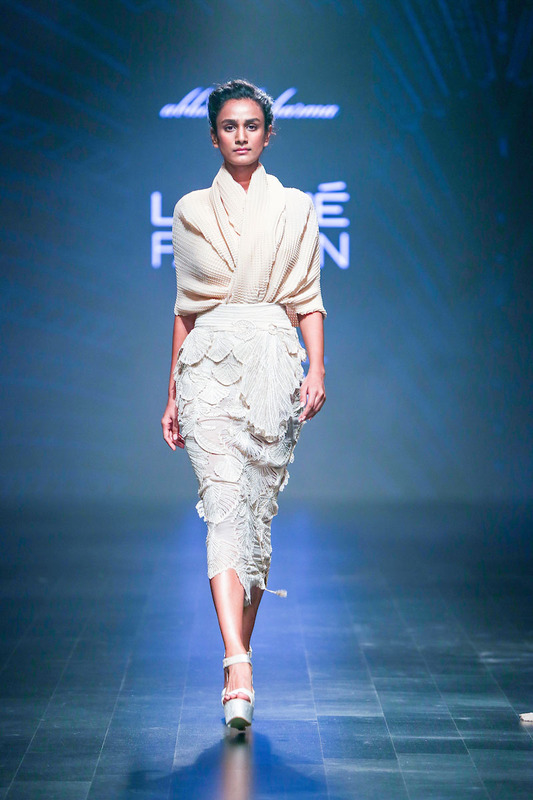 One of the highlights from the show was a black hood draped over a red gown, which gave off a very Little-Red-Riding-Hood-gone-fierce vibe. 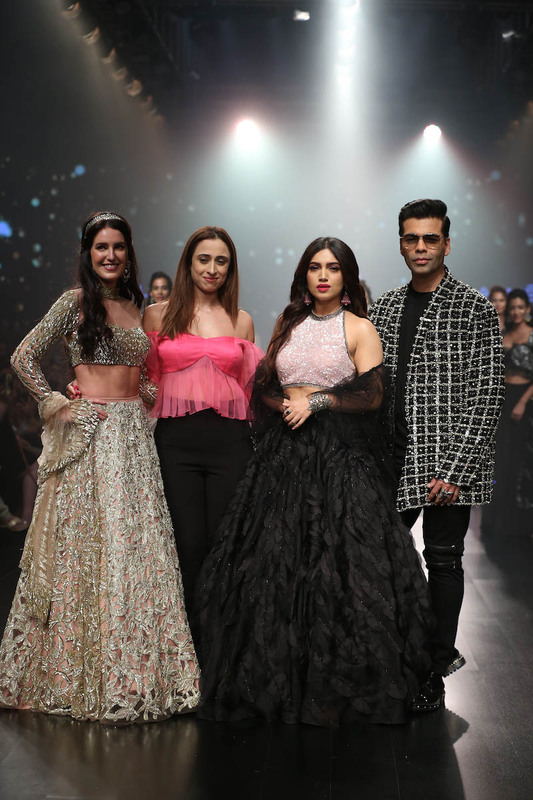 Kareena Kappor Khan ended the show in a body-hugging black gown, bringing the five-day fashion extravaganza to a fitting close.